Which person below do you think will die first? 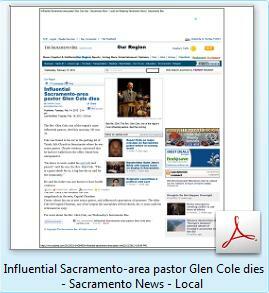 OK- as you can see by the article below, Glen Cole has passed away first. Only 6% of those who participated in this poll indicated Cole would pass away first. Also, I am going to add Ray Johnston's name to the above poll to replace Glen Cole. I didn't even know of his name when I created this poll years ago, so, I decided he would be a good candidate to replace his buddy Glen. Plus, I have decided to include Homeless Billy. Billy can be seen on "Ray Johnston's Church Letter" page. 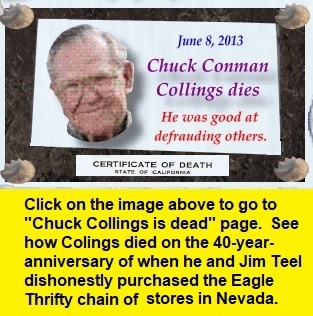 Now, I must put out my gut feeling of who will die next: Chuck Collings. This is my "big gamble" Nevada Eagle Thrifty bet.